Revelation offers details of both the destruction and the deliverance that occurs at the end of the world. Those who have the seal of Yahuwah in their foreheads are protected during the coming destruction. The “terms of engagement” in the war between Yahuwah and Satan guarantee the protection of those who have the divine seal and the destruction of those who do not. The authority of the law-giver: the dominion over which they rule. Without these three elements, a seal could not function. It would not fully represent the monarch whose authority it symbolizes. Great care is taken to protect a state’s official seal. Without it, nothing, not even a signature, is official. 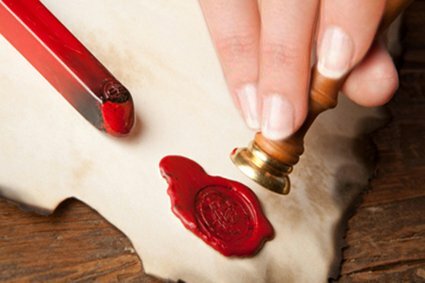 But with the seal attached, a simple piece of paper becomes a legally binding document, the requirements of which are enforced by the power of the state. The seal of the King of kings, like the seal of earthly rulers, also gives His name, title and authority. The divine Law which governs all created beings, both in heaven and on earth, is the Ten Commandment Law. The first four commandments cover the relation of mankind with their Creator. The last six deal with man’s dealings with his fellow man. As with all legally binding legislation, the Law of Yahuwah contains His seal. In fact, it is part of the Ten Commandments! Out of all the ten, only the fourth commandment contains the three necessary elements required of a seal. It contains the name of Yahuwah, His title, and a description of the dominion over which He rules. All who want the seal of Yahuwah to rest upon them, and be under the divine protection, will worship Him on the seventh-day Sabbath, calculated by Hisluni-solar calendar. 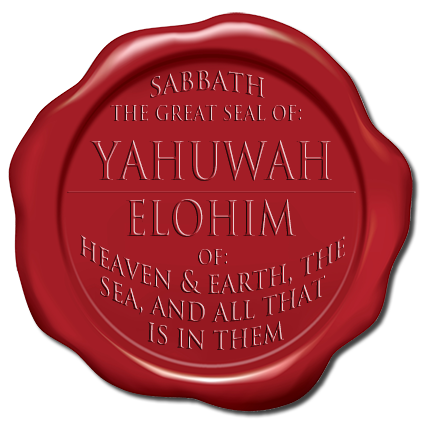 Satan knows of the protection offered all who accept the seal of Yahuwah by worshipping Him on His Sabbath. It is for this reason that he has tried so hard to destroy all knowledge of the ancient lunar Sabbath and lead people to worship on a different day. “He that dwelleth in the secret place of the most High shall abide under the shadow of the Almighty. Those who have received Yahuwah’s seal are strengthened. As warm wax receives the impress of the metal mold, it hardens. The hardened wax seal is a perfect reflection of the metal seal that molded it. Those who commit to obey Yahuwah and worship Him on His holy Sabbath, be the cost what it may, receive the divine impress in their minds. Their characters are strengthened by obedience to the divine law. The human receives the impress of the divine character and a new creature is formed. The mind is strengthened as it becomes one with the divine mind. New thoughts, new habits and desires now lead to a life lived in conformity to the divine Law. It is by this sealing that the obedient children of YAH are strengthened and preserved through the destruction at the end of the world. The Sabbath is also a sign of loyalty. It marks the difference between those who worship Yahuwah and those who do not. The mark of Satan’s kingdom has always been rebellion and disobedience. Thus, loyalty and obedience to the divine law is the sign that sets apart the loyal subjects of Heaven. The divine law is as binding today as it was at Creation and later when spoken from Sinai. Yahushua clarified the error of thinking the law was “nailed to the cross” when He explained that the real proof of love for our Maker is found in obedience to His law. Obedience to the divine law, including the fourth commandment, is the “pledge of allegiance” Yahuwah’s people give to their Maker. 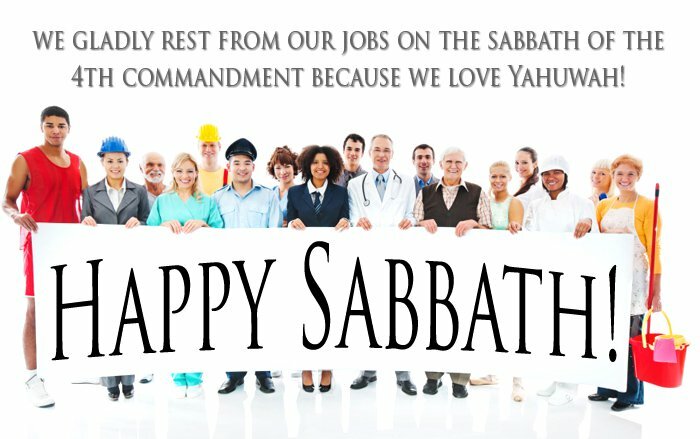 Worship on the seventh-day Sabbath, calculated by the Creator’s designated system of time-keeping, distinguishes the faithful and loyal from all others on earth. 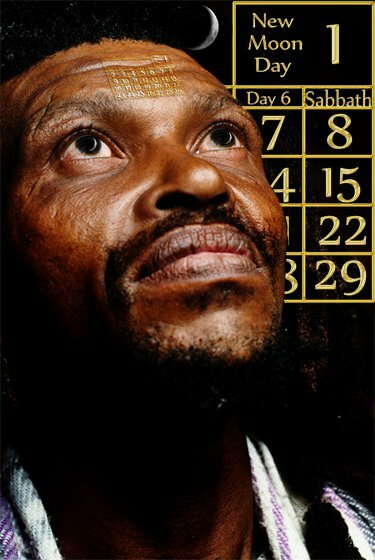 Yahuwah Himself gave the seventh-day Sabbath to be a sign between Himself and His people. Satan changed the calendar by setting aside the luni-solar calendar and putting a solar calendar of continuously cycling weeks into worldwide use. Satan changed the ordinance by teaching people that the divine law was “nailed to the cross.” It was done for one purpose: to ensure that multitudes are left without the divine protection during the last days when the seven last plagues are being poured out on the earth. All who heed the warning and accept the merciful invitation will be covered during those dark days when the wrath of Yahuwah is poured out upon unrepentant sinners. This is the longing of the Father’s heart. This is the reason Yahuwah has committed the rich resources of Heaven to bring the message of the true Sabbath to every soul on earth. Yahuwah wants everyone to be saved. He wants to protect His earth-bound children. All who worship on the true seventh-day Sabbath, thus honoring the Creator with their obedience, will receive divine protection and will at last go home to Heaven with the One whom their hearts adore.